Chastain is coming to NYC and New Jersey! You make great money, and you work hard every day to secure the life and future you're waking up every day to make happen. Making great money isn't the same as managing your money well and you probably stress about knowing if you're making the RIGHT decisions each and every day. If you have the challenge of not knowing how to save or get out of debt despite the fact that you make great money this high impact workshop will be perfect for you! 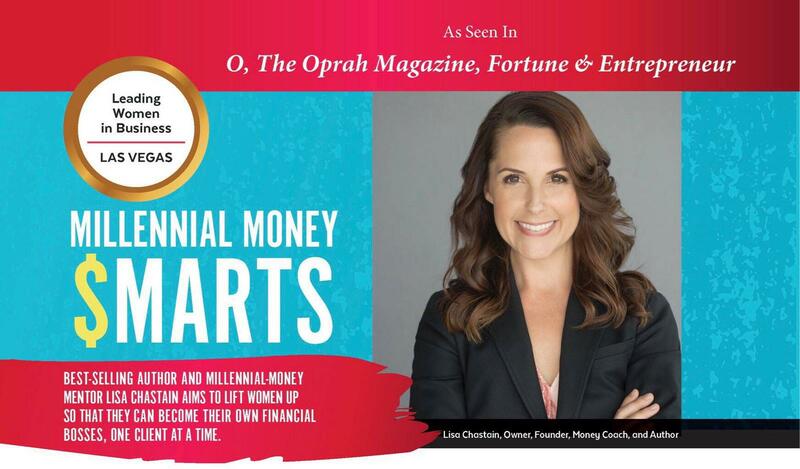 Millennial Money Coach, Lisa Chastain, is working with clients nationwide to secure their financial futures by teaching them how to ditch the budget, control their money, and have total clarity of their money so that they can live their best lives. Save money and stop using systems that aren't working for you! 2019 is a great year to kick your old money habits into the past and understand why you make the choices with your money that you do so that you can stress less, and love your life even more! This workshop is valued at over $250.00! Lisa has been coaching, mentoring and advising millennials for nearly 20 years. Her company, Millennial Consulting LLC inspires women to be the boss of their finances and lives by teaching and mentoring them on how to control their money, live purposefully and love their lives. Her #1 Best Selling Book, “Girl, Get Your $hit Together” teaches millennial women how to own their history with money so that they can boss up and own their futures. of Las Vegas Women Magazine’s people to watch in 2018.